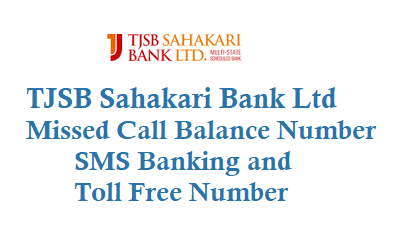 If you are a TJSB Sahakari Bank Ltd then now by giving a missed call you can know your account balance details, all you need to do is just give a missed call from your registered mobile number and you get TJSB account balance details by sms. 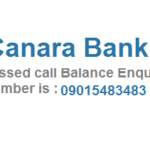 Check below for TJSB Missed Call Balance Number, TJSB SMS Banking, and TJSB Toll Free Customer Care Number. 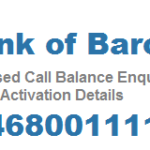 Before TJSB missed call banking you need to link your mobile number with your bank account. After 3 rings call automatically disconnects and you will get a sms about your TJSB Sahakari Bank Account Balance. Note: Giving missed call to 09212005550 is free of charge. 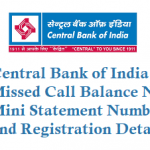 How to know TJSB Balance Details by SMS? 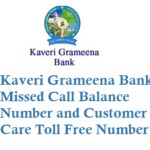 TJSB customer can now know Balance Inquiry, Last 3 Transactions like mini statement and Cheque status by using SMS banking, just send a sms from your mobile number to 9870888210 in below Keyword. Note: The TJSB SMS Banking facility is available for all the Customers, you need to Contact the Branch for registration and activation of the SMS Banking facility. 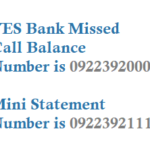 SMS Transaction Alert Charges of TJSB bank is for Saving account quarterly charge is Rs 10 and for other account Rs 25 quarterly. If you have any queries/concerns/questions related to your TJSB bank account then you can call to TJSB Toll Free Number and talk to customer care team and easily resolve your issue.